A 13 x 3 metre mural has become the latest step in immortalising the Tham Luang cave rescue for generations to come. The mural will shortly be moved to be part of an exhibit which will be constructed at the front of the mouth of the caves. 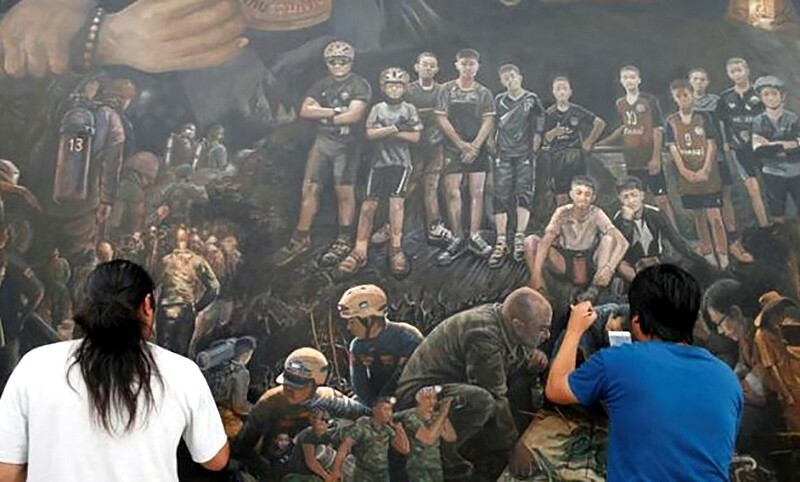 “The Heroes” is a canvas painting which portrays the story and the many, many people involved in the dramatic rescue of the 13 Mu Pa football team members from the Mae Sai caves earlier this month. The mural was unveiled yesterday by Thailand’s national artist Mr Chalermchai Kositpipat and Mr Suvit Jaipom, president of Khua Silpa Association. 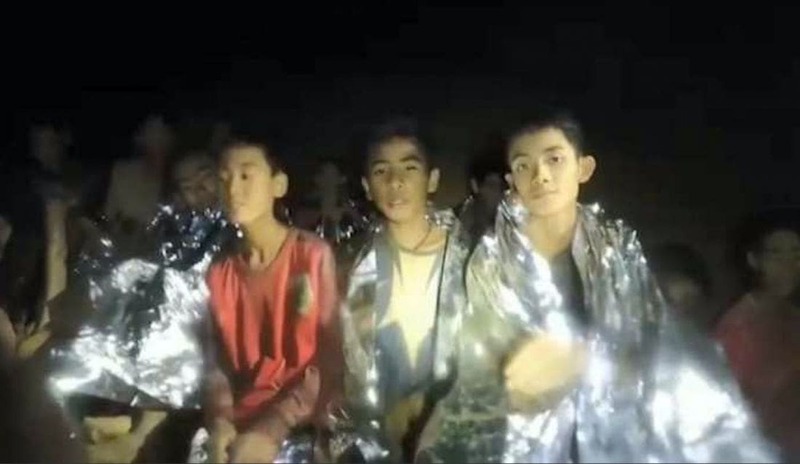 Thai PBS reports that Thai and foreign tourists were on hand to witness the unveiling of the canvas painting undertaken by Mr Chalermchai and several other artists in dedication to the rescuers, the 13 survivors and, especially to Lt Commander Samarn Kunan, a former Navy SEAL who died while taking part in the rescue operation. The national artist said that the painting is on public display at the Khua Silpa Association for a short time because of the rains during the wet season which might cause damage to the painting. 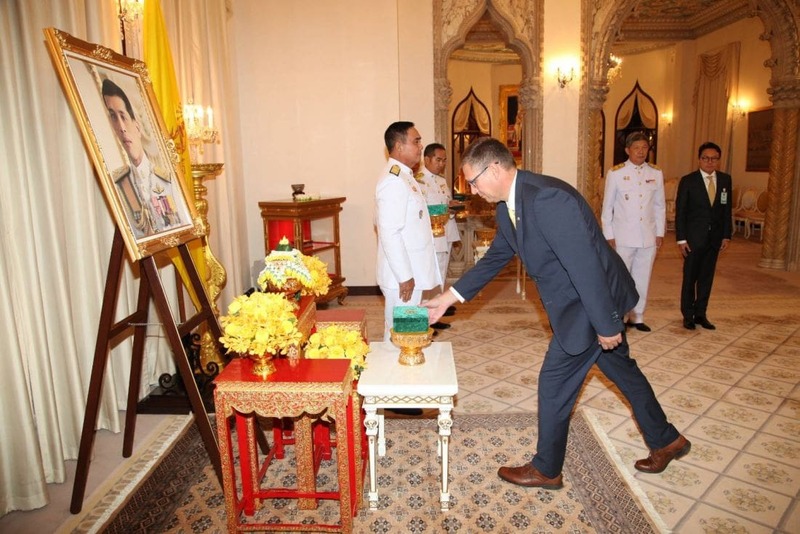 Tthe painting will be moved to a museum that will be constructed in front of the Tham Luang cave entrance where a statue of the late Lt Commander Samarn will also be erected. The statue is already underway and will take 4-5 months to be completed. The national artist has said that he will take care of the expenses for the construction of the pavilion and the statue without any government support. 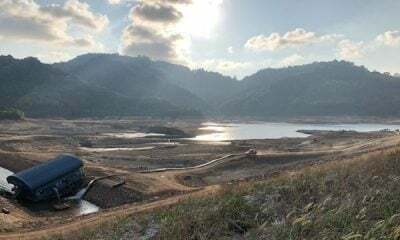 He said he will print copies of the painting and publish a book about the rescue operation for sale to raise fund for the construction projects at Tham Luang cave.